Alamosite: Mineral information, data and localities. Named after its discovery locality at Alamos, Mun. de Alamos, Sonora, Mexico. 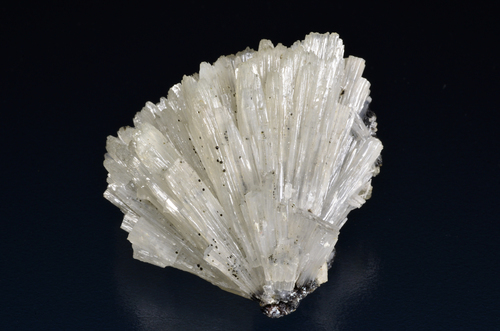 This page provides mineralogical data about Alamosite. Crystals fibrous parallel  ; as radiating aggregates and balls, to 7.5 cm. Harvard University, Cambridge, Massachusetts, USA, 84859, 85509. Melanotekite 10 photos of Alamosite associated with Melanotekite on mindat.org. Leadhillite 4 photos of Alamosite associated with Leadhillite on mindat.org. Kegelite 4 photos of Alamosite associated with Kegelite on mindat.org. Willemite 2 photos of Alamosite associated with Willemite on mindat.org. Hematite 2 photos of Alamosite associated with Hematite on mindat.org. Ca-bearing Queitite 2 photos of Alamosite associated with Ca-bearing Queitite on mindat.org. Ganomalite 2 photos of Alamosite associated with Ganomalite on mindat.org. Quartz 2 photos of Alamosite associated with Quartz on mindat.org. 14.13.2 Plumbotsumite Pb13(CO3)6(Si10O27) · 3H2O Orth. 14.13.3 Luddenite Cu2Pb2Si5O14 · 4H2O Mon. Palache, C., Merwin, H.E. 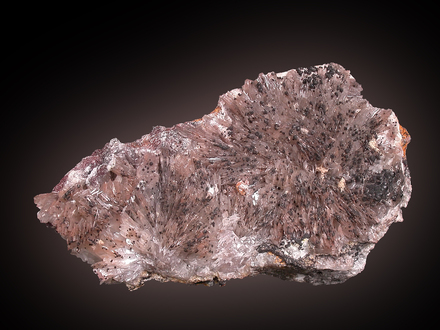 (1909) Alamosite, a new lead silicate from Mexico. American Journal of Science: 27: 399-401. Boucher, M.L., Donald, P.R. (1968) The crystal structure of alamosite, PbSiO3. Zeitschrift für Kristallographie: 126: 98-111. Krivovichev, S.V., Burns, P.C. (2004) Crystal structure of synthetic alamosite Pb[SiO3]. Zapiski Vserossijskogo Mineralogicheskogo Obshchestva: 133(5): 70-76. Zori, C., & Tropper, P. (2013). Silver lining: evidence for Inka silver refining in northern Chile. Journal of Archaeological Science, 40(8), 3282-3292. Tyszka, R., Pietranik, A., Kierczak, J., Zieliński, G., & Darling, J. (2018). Cadmium distribution in Pb-Zn slags from Upper Silesia, Poland: Implications for cadmium mobility from slag phases to the environment. Journal of Geochemical Exploration, 186, 215-224. Nysten, P. (1994): Mineralogiska notiser 3: Alamosit, Långban. Långbansnytt. 10. [ reprinted in: Långbansnytt. De första 20 åren 1983-2003. Långbansällskapet - Skrifter och rapporter. 2, 44]; Nysten, P., Holtstam, D. and Jonsson, E. (1999) The Långban minerals. In Långban - The mines,their minerals, geology and explorers (D. Holtstam and J. Langhof, eds. ), Swedish Museum of Natural History and Raster Förlag, Stockholm & Chr. Weise Verlag, Munich, pp. 89-183. Agakhanov, A.A., Pautov, L.A., Sokolova, E., Hawthorne, F.C., Karpenko, V.Yu., Siidra, O.I., Muftakhov, V.A. (2016): Odigitriaite, CsNa5Ca5[Si14B2O38]F2, a new cesium borosilicate mineral from the Darai-Pioz alkaline massif, Tajikistan: Description and crystal structure. Mineralogical Magazine, 80, (in press). Anthony, J.W., et al (1995), Mineralogy of Arizona, 3rd.ed. : 104, 242. Raman analyzed at the University of Arizona. ; Yang, H., Andrade, M.B., Downs, R.T., Gibbs, R.B., Jenkins, R.A. (2016): Raygrantite, Pb10Zn(SO4)6(SiO4)2(OH)2, a new mineral isostructural with iranite, from Big Horn Mountains, Maricopa County, Arizona, USA. 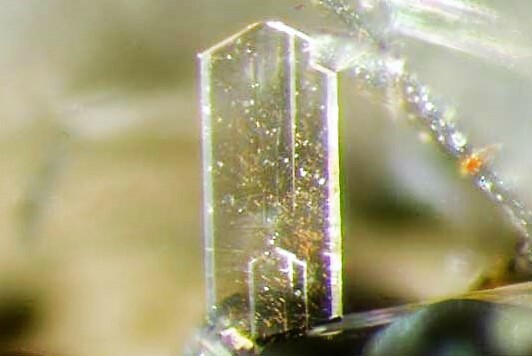 Canadian Mineralogist: 54: 625-634. Anthony, J.W., et al (1995), Mineralogy of Arizona, 3rd.ed. : 104, 369; Williams, S.A. (1982), Luddenite, a new copper-lead silicate mineral from AZ, Mineralogical Magazine: 46:363-364. Anthony, J.W., et al (1995), Mineralogy of Arizona, 3rd.ed. : 280. Analyzed at the University of Western Syndey, Australia.